My neighborhood friends had joined an online dating website and I was always hearing about their funny and sometimes creepy stories about guys messaging them. I decided to follow suit and sign up. I wasn’t very active on the site at all. I just responded to a few messages here and there. The thing I remember most about Dave’s first message to me was how long it was! I honestly thought he was just one of those guys that copy and pasted the same message to a bunch of different girls, but as it turns out, I was the first girl he had ever messaged. I replied pretty instantly, but all I said was, “How are you?” I was actually pretty surprised when I got his reply. It was even longer than his first message! That’s when I realized that he was actually just a talkative guy, and wasn’t trying to chat up a bunch of girls. We messaged back and forth for about a month until we finally had our first date on November 20, 2011. He drove from Ulsan to pick me up from my apartment in Busan and then we drove to Haeundae Beach. Conversation was good, but it definitely had that first date sense of awkwardness to it. We walked around looking for a restaurant and finally ended up at Outback Steakhouse. I found this quite funny because Dave is from Australia and he’s also a vegetarian. The next morning I woke up to a text message from Dave so I assumed he had a good time. We arranged to meet up again two weeks later, on December 4th. For our second date he asked me to meet him at the beach instead of picking me up. I understand why, it was an extra 45 minutes to my apartment, but I felt like we were going downhill. During the date, there seemed to still be no chemistry. There were plenty of opportunities for him to hold my hand, but he was completely oblivious! Not even a romantic stroll around the beach warmed him up. Finally, we started walking back to the subway station for me to go home for the night. I was really disappointed. After over a month and a half of talking now, I felt like nothing was going to come of this. I decided not to give up and asked Dave to sit down with me, just before we got to the subway station. As he says it, it was me asking him to sit down to make something click. That’s when he finally decided that he really liked me. It was really cold out, but we sat outside for hours. He used it as an excuse to hold my hand and cuddle up. Once we couldn’t stand the cold any more, we moved into the coffee shop that we had been sitting in front of for ages. We ended up staying out way later than we had intended. The subways stopped running at midnight and it was pushing 1:00am. I offered to take a taxi home, but Dave insisted on driving me. I thought that was really sweet since Dave had to work the next morning and still had an hour and a half drive. When Dave dropped me at my apartment, we had our first kiss. We grew attached really fast and Dave said he loved me for the first time on New Years Day 2012. It only took me another week to reciprocate. We continued on with our long distance relationship for about 8 more months. Each weekend Dave would drive to Busan or I would take the train to Ulsan. It was really hard being apart all week so Dave eventually started coming down at least once during the week. Dave was there for me when I went through my school renewal issues and he was there for me when my school told me they wouldn’t approve my request for a week of unpaid leave to attend my brother’s wedding. I knew I had to go to the wedding, but that also meant I had to quit my job to do it. Dave and I knew how the hour and a half distance was for us, we couldn’t imagine trying to keep up a long distance relationship with a 14 hour time difference and a 12 hour flight. 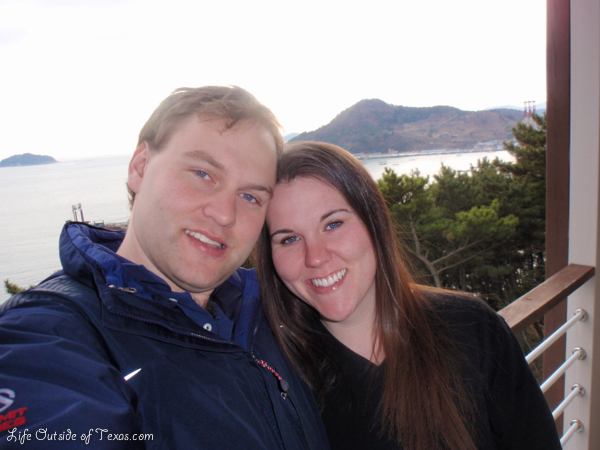 We made the big decision that I would stay with him in Ulsan as much as my 90 day tourist visa will allow. We’ve been really happy ever since! This entry was posted in About Meagan and tagged dating, dating an oil expat, dating in Korea, dating on line, EPIK, expat, expat blog, falling in love, falling in love abroad, how we met, international online dating, love, love story, online dating, online dating sites, online dating success stories, online dating success story, romance abroad, Teaching English in Korea, travel, Ulsan expat by Meagan & Dave | HappilyEverExpat.com. Bookmark the permalink. This is such a great story Meagan. I am so happy for you and I adore Dave so much. I miss you both and hope to see you soon. Thanks, Natalie! I really appreciate that. I am so happy for you guys. Dave is such a great guy, and I know how tough it is being away from home. I’m glad, Dave is there to make if feel more like home for you. Miss you guys! We miss you too! It is tough. Never would I have imagined living in Korea for over 3 years! I know I have it pretty easy, but it isn’t always a walk in the park. Thank you so much, Sarah! I feel really lucky to have found Dave. He is truly a great human being and we both share a love for travel. Thanks so much for sharing more about yourself! It is not always easy! I loved the first photo of you and Dave! Thank you! 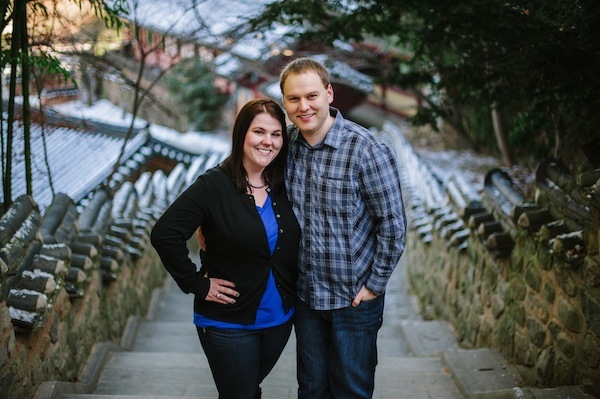 We had a photo shoot last December here in Korea but some of our friends that are amazingly talented photographers. It was soooo cold, but so much fun! You’re right. It isn’t always easy to share personal stories. For me, it’s less about the privacy and more about figuring out what to tell! I agree with you there. It is hard figuring out what to say! You look happy ever after since 🙂 Enjoyed hearing your story! I really am. Thank you so much for the sweet comment. I always appreciate your continued support of my blog and I hope you know that I always enjoy looking at your photographs. Lovely story! I find online dating exhausting, but it seems like it worked for you guys. All the best for the future! I tried online dating back in Texas and went on a few bad dates and decided that only crazies must be dating online! That’s why I didn’t put much effort into trying to find anyone online when I was in Korea. I’m so glad I made that profile though. You never know! Thank you for reading. I always appreciate new readers and comments. Thanks, Wendy. I am very happy. I feel like I’m living a dream! Sweet story! My best friend from college met his significant other here on a dating website as well. 🙂 I’d love to meet both of you and hang out some time! I’d love getting together with you guys! I’ll let you know when I’m back from the States. Such a happy “ending” to a happy story. Glad it worked out for you both! Thanks, Leah! You have a pretty amazing love story as well. Let me know if you’d be up for writing a guest post about it. That’s a cute story!! When I moved away from home I thought I was saying goodbye to my love life but ended up meeting my partner (also Australian!) while driving through a rice field in Thailand and he was skipping!! Funny when you are travelling you end up meeting more like minded people than you do back home!! I love it. It’s been really interesting dating an Australian. 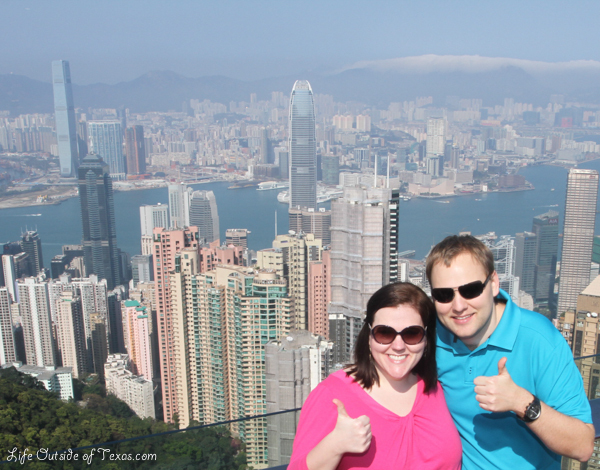 I never realized all of the cultural differences we would have, but it’s been pretty funny comparing notes. So glad you two are so happy! I’m so jealous of all of your travels also! haha. It seems like Korea is such a great place to meet that special someone, I’ve met so many people who have met their boyfriend/girlfriend here and are still going strong! I never would have imagined meeting anyone in Korea, but somehow I did. It’s been a really big change for me and for the past two years, I have been constantly wondering how I got so lucky. Meagan, thanks so much for sharing how you and Dave got together. I love all of the places and stories you share, and I just want you to know that this is the nicest Valentines stories I’ve read. Your story and your lives are simple and pure, and I am so happy for both of you! Hello Megan, are you still living in Korea? I ask because I’ve been invited to visit and am researching before finalizing my decision to visit. Thanks! I moved back to the U.S. a few weeks ago, but let me know if you have any questions!